I keep thinking I won’t have any “new” or “interesting” photos for this blog. And then this turns up. It’s the foam. But I’ve never seen it look like this before. (I don’t modify these photos, by the way, except an occasional crop.) 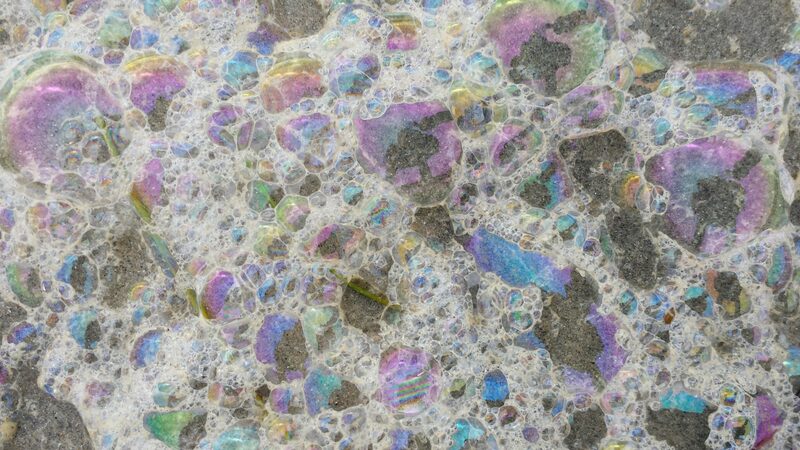 The light was making these bubbles reflect these colors — from where, I don’t know. Jewels. It wasn’t sunset; it was mid-afternoon. There was no rainbow. 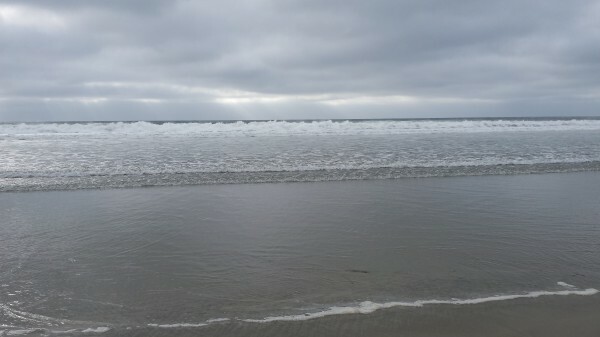 It was mostly cloudy and windy enough and bigger surf than usual. An added bonus was seeing our next-door neighbors sitting on the beach. It’s Presidents’ Day and there were more people than usual out even though it was gray and cool and windy. We went back to get warmer jackets and hats after just a few steps down the block; as soon as we faced the water, the wind picked up. I love it. Obviously.